Within its first year the Limassol Jazz Festival captivated its audience and musicians alike in becoming a highly anticipated happening within the city limits launching a creative platform for international and local artists to entertain, educate, collaborate and communicate an inspirational message of intercultural musical exchange. 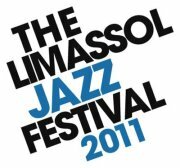 In its second year running the Limassol Jazz Festival 2011 will be held from the 14th – 20th of November and consists of three main entities, Music (being the predominant), Open Workshops/Seminars & other art forms. The ‘Limassol Jazz Festival’ is an annual music & arts festival taking place on the third week of November and is quickly becoming a landmark in Cyprus’ cultural landscape and the leading winter Jazz Festival in the Mediterranean and the Middle East region. With 13 events from Monday-Sunday the festival activities will be presented at 5 multiple varied locations and venues around the city centre ranging from concert hall (Rialto Theatre) to music clubs (7 Seas), (jazzyB) and introducing jazz to a number of new spaces including, the (Londa Hotel) ,and even street corners & city landmarks (Plaza Café & Columbia Plaza) the Limassol Jazz Festival is set to be a landmark in Cyprus’ cultural landscape, launching a creative platform for international and local artists to entertain, educate, collaborate and communicate an inspirational message of intercultural musical exchange. At the Limassol Jazz Festival 2011 you can catch a mix of premieres, commissions, new collaborations, impromptu jamming sessions, Bi-communal projects, a dance performance, master-classes, family events and an exceptional program of free concerts across the 7 days, with 13 events and over 30 participating artists which make up Limassol’s biggest music festival and Cyprus’ largest celebration of jazz. As last year, this years Limassol Jazz Festival 2011 sees the participation of some of the most prominent and greatest world renowned local & international Artists. Without doubt the most impressive collaboration of artists ever to take place on the island. Don’t miss this opportunity to enjoy some of todays greatest ever musicians performing live in Limassol!! In the unlikely event that the Festival will be cancelled, or that artist replacement or changes will be made to dates or location, please note that the Limassol Jazz Festival will not be responsible for refunding travel or accommodation costs should this occur. If travelling from abroad, please ensure you have adequate travel insurance to cover you in these circumstances. Event contributed to OnThisIsland.com by Eddy Nassar through the Cyprus Events Application on facebook.